Over the course of a single day, you make hundreds of minor and major decisions relating to your own life. You are also accustomed to making health care related decisions for yourself and you probably assume you will always be able to make those decisions. The time may come, however, when you become incapacitated and are unable to make healthcare decisions for yourself. How can you ensure that your wishes will be honored if that happens? 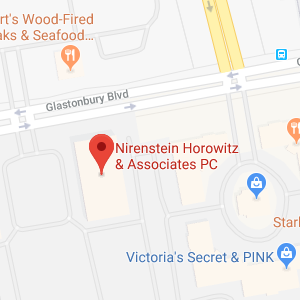 The Hartford estate planning attorneys at Nirenstein, Horowitz & Associates, P.C. explain how creating an advance directive can help you plan for the possibility of your own incapacity. In the United States, we all take for granted the ability to make our own healthcare decisions. What happens though, if you are in a position where you are unable to make your own healthcare decisions because of your own incapacity? If that were to occur, there is likely someone you would want to make those healthcare decisions for you. You undoubtedly also have someone in mind – maybe the same person – to make personal and/or financial decisions for you if you cannot make them yourself. Furthermore, you may have very strong opinions about end of life medical treatment that you want to be honored by healthcare personnel at the end of your own life. Once again though, what happens if you are unable to convey those opinions when the time comes? What assurance do you have that your wishes will be honored if you are unable to express them? Executing an advance directive provides that assurance. An “advance directive” is a legal document through which you may provide your directions or express your preferences concerning your health care and/or appoint someone to act on your behalf. Physicians and others use them when you are unable to make or communicate your decisions about your medical treatment. Advance directives are prepared before any condition or circumstance occurs that causes you to be unable to actively make a decision about your health care. Living Will — a Living Will is a document that may state your wishes regarding any kind of health care you may receive. Should you be in a terminal condition or permanently unconscious, the Living Will can also tell your physician whether you want “life support systems” to keep you alive or whether you do not want to receive such treatment, even if the result is your death. Under Connecticut law, a patient is in a “terminal condition” when the physician finds that the patient has a condition which is (1) incurable or irreversible and (2) will result in death within a relatively short time if life support systems are not provided. “Permanently unconscious” means a permanent coma or persistent vegetative state where the patient is not aware of himself or his surroundings and is unresponsive. A Living Will goes into effect only when you are unable to make or communicate your decisions about your medical care. Appointment of a Health Care Representative — A “health care representative” is a person whom you authorize in writing to make any and all health care decisions on your behalf including the decision whether to withhold or withdraw life support systems. A health care representative does not act unless you are unable to make or communicate your decisions about your medical care. The health care representative will make decisions on your behalf based on your wishes, as stated in a living will or as otherwise known to your health care representative. In the event your wishes are not clear, or a situation arises that you did not anticipate, your health care representative would make a decision in your best interests, based upon what is known of your wishes. For more information, please download our FREE estate planning worksheet. If you have additional questions or concerns about incorporating an advance directive into your estate plan, contact the experienced Hartford estate planning attorneys at Nirenstein, Horowitz & Associates, P.C. 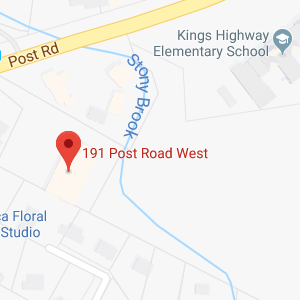 by calling (860) 548-1000 to schedule an appointment.